Big Sound. Small PackageIt’s rare to find big sound in something so small. 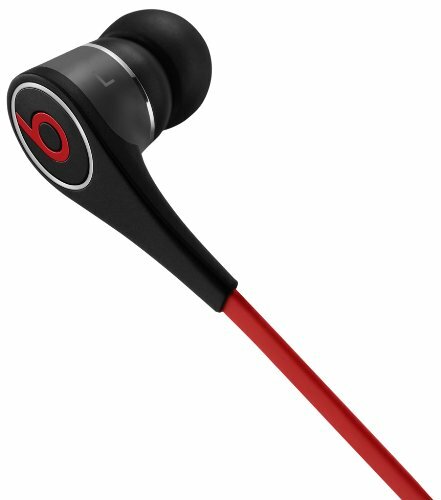 Beats Tour earphones are among the first earbuds to hold their own against over-ear headphones. Now with a newly designed custom fit and improved sound quality, you can get even closer to the music.Redesigned FitThe perfect listening experience requires the perfect fit. We completely redesigned the Beats Tour and included removable wingtips to provide a customizable fit for precise sound. While compact and portable, the new Tour is powerful enough to handle all kinds of music. Now you can crank up the volume without distorting the sound. Doesn’t matter how carefully you wind them up, cords and pockets just don’t mix. That’s why we’ve redesigned our cables to make sure they’re ultra-flexible and tangle-free. Switch easily between songs and incoming calls. No need to take off your Tour to talk into the phone. It’s a seamless transition, so you can always be on the go.